Yesterday at the Food Bloggers Bake Sale Minty and Rémy did a great job of getting people at the Grove to come and buy treats. 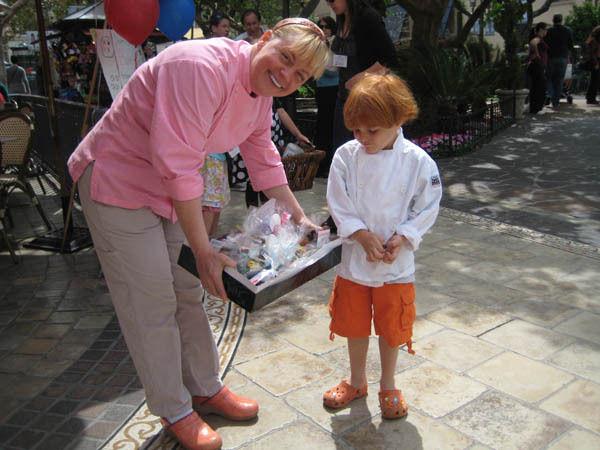 Sherry Yard, Pastry Chef at Wolfgang Puck’s Spago, asked Rémy to pose for a picture – he agreed in return for a bag of Whats Gaby Cooking chocolate chip cookies. 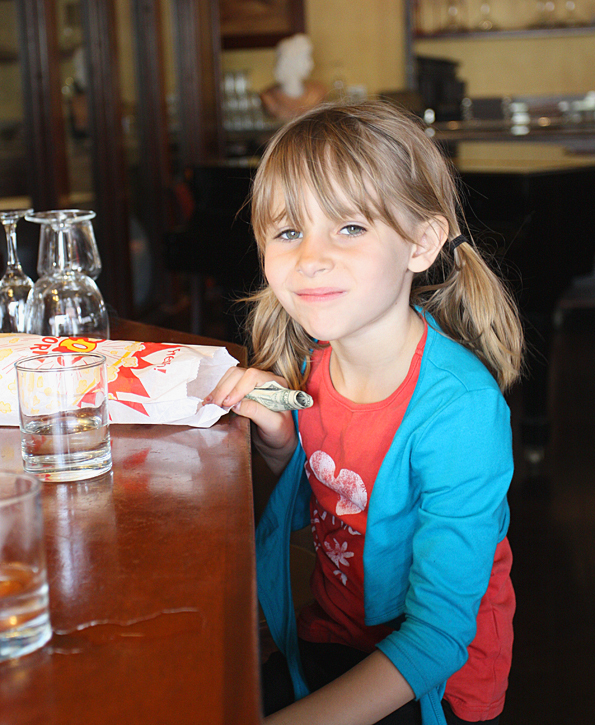 Happiness is a chocolate chip cookie! Your Minty & Rémy are absolutely adorable. 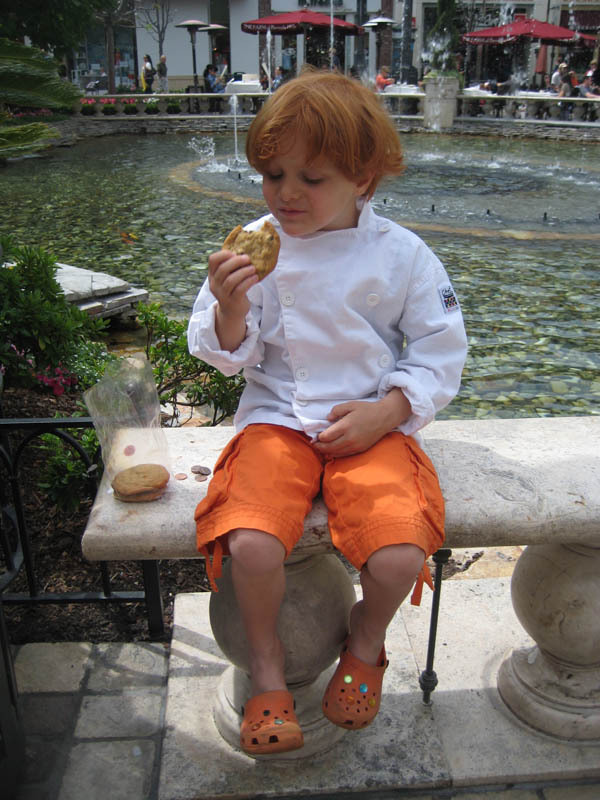 And I love the orange Mario Batali Crocs! Mini Mario all the way!